2 018 is here! Can you believe it? This time of year it seems everyone is thinking about their new health resolutions and goals. Take advantage of these renewed motivations by reaching out to both current and prospective patients over the next few weeks to build your chiropractic practice. Here are a few ideas you can use for a boost this January. After the holidays, it’s always a good idea to send an email reminder checking in with your current patients and inactives. Separate your patients into two lists: regular patients and those who haven’t been in for 3 months or up to 2-3 years. After you have these two lists, create an email for each audience giving them that extra encouragement they might need to pick up the phone and schedule an adjustment. For the consistent patients, maybe they just need a reminder that you are returning to regular office hours after the holidays and wishing them a happy New Year. For the chiropractic patients you haven’t seen in a while, if permissible in your jurisdiction, try offering them a chiropractic checkup at a special low fee. “With the New Year off to a brand-new beginning, it’s a great time to start over. Set new goals. Break bad habits. Resolve to become healthier. Don’t forget to include your contact information in the email and watch your appointment book fill up over the next few weeks. January is a great time to take advantage of all of those New Year’s resolutions searches. 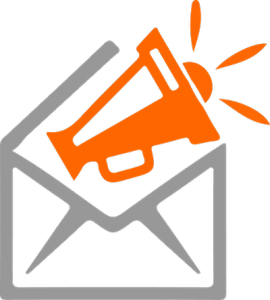 Create a new AdWords campaign promoting your special mentioned in the email above. There are a number of things to consider when launching your AdWords campaign. You’ll need to start with setting a maximum daily budget and a maximum cost per click. You’ll then add all the keywords you want your ad to be displayed for. After writing your ad copy, you’ll be competing with other chiropractors for the best ad placement. The higher the ad is on the page, the more likely it is to get clicks. If you’re going to be using a PPC provider to run your campaigns for you, choose them carefully. You’ll want a team that can coordinate with other practice building initiatives like your website and social media. Your website, content and organic SEO efforts should all work together to achieve your desired results. 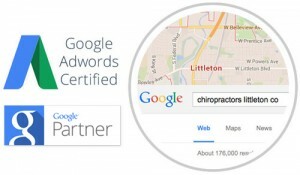 Perfect Patients is an accredited Google Partner. We have a team of Certified Google AdWords Specialists standing by to setup and manage your AdWords campaigns. You just need to tell us the suburbs and the admitting complains that you want to target and we’ll do the rest. We’ll create and manage your campaigns to insure new patient results. This New Year, don’t forget to update your followers that the practice is returning to regular hours and offering a special chiropractic checkup. Social media is a great place to get more personal with your followers and share your own resolutions for the New Year. Encourage engagement and be open for feedback. You can use these responses to feed what types of promotions, email content, and website content you use throughout the year. The majority of people follow your chiropractic practice’s social media for these reasons: to get updates on your services, entertainment, and to find out about your promotions. Keep these three keys in mind and develop a social media calendar based off of these topics. 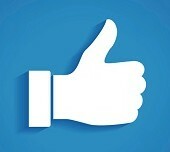 For social media content curated especially for chiropractic practices, try our free 4-week trial of Facebook posts. The New Year can be a great opportunity to connect with new patients and reconnect with existing ones. Try a few of the ideas in this post and you’re sure to start your chiropractic practice off on the best foot in 2018. 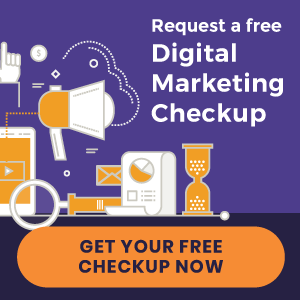 « New Chiropractic Websites Just Launched – Aspire Chiropractic and more!